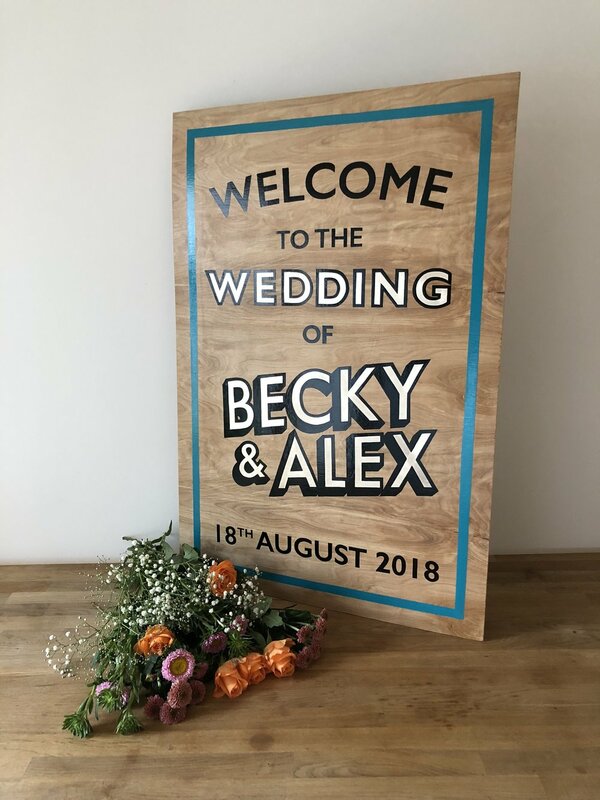 From welcome signs to stage signs, beautiful letters to brighten your wedding day and cheer your guests. All the signs are handprinted for you and can be completely customised. I work with real gold leaf, because, well, it’s lush and you can’t beat it. The signs are designed to be kept forever. I use songwriters enamels which are extremely hard wearing. All signs are shower proof too - perfect for outdoor weddings. Prices start at £150, ping me an email to get started. The signs take some time to create, and I book up fast, so don’t leave it to late to book in. If you’re looking for the perfect wedding gift, make sure you check out the commissioned signs.